To succeed in today’s ecosystem-driven digital economy small businesses must seize opportunities to stay ahead of the game. This masterclass titled “Dedicated To Digital” will definitely benefit you and your brand. There are limited spaces available and filling up fast.I will be talking about YouTube Content Strategy, you really don't want to miss it. 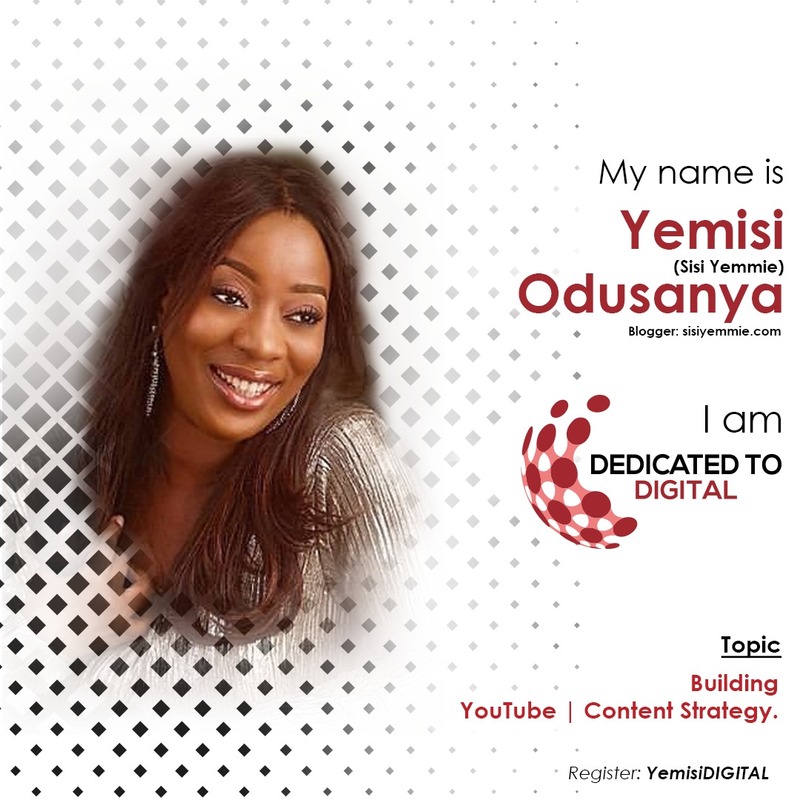 Register here and make sure you use my code "YemisiDigital", it will be a wonderful opportunity to network! It is a one-day masterclass on Digital Marketing that has been designed to educate young graduates and owners of small and medium businesses, aspiring digitalentrepreneurs and media managers within corporate bodies. 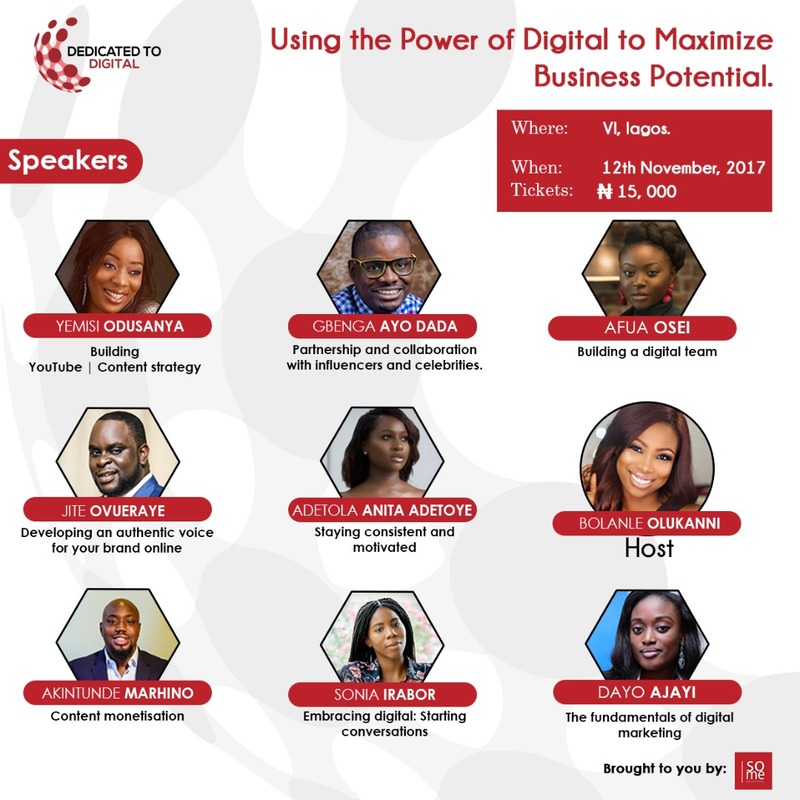 The speakers have been selected on the basis of experience and success at growing their business platforms through the use of Digital. They have also been selected from various works of life, to help fully equip the varying needs of the guests. Dayo Ajayi, Yemisi Odusanya, Akintunde Marinho, Jite Ovueraye, Anita Adetoye, Sonia Irabor, Gbenga Ayo Dada , Bolanle Olukanni and more! Seen an online bargain shop? All items #1 to #3k.